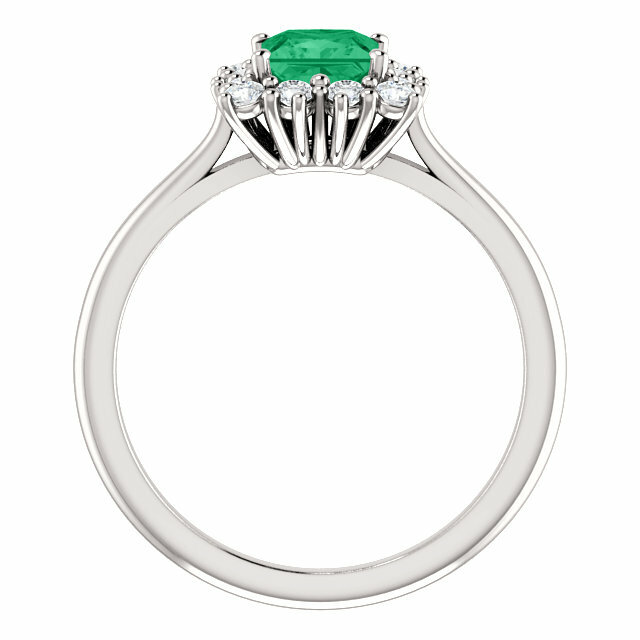 The beautiful color of a rainforest captured in a green topaz gemstone ring surrounded by a halo of white cz stones. Green topaz is a genuine princess-cut 5x5mm gem set in authentic nickel-free .925 sterling silver. This ring is also available in 14k white gold (shown below). 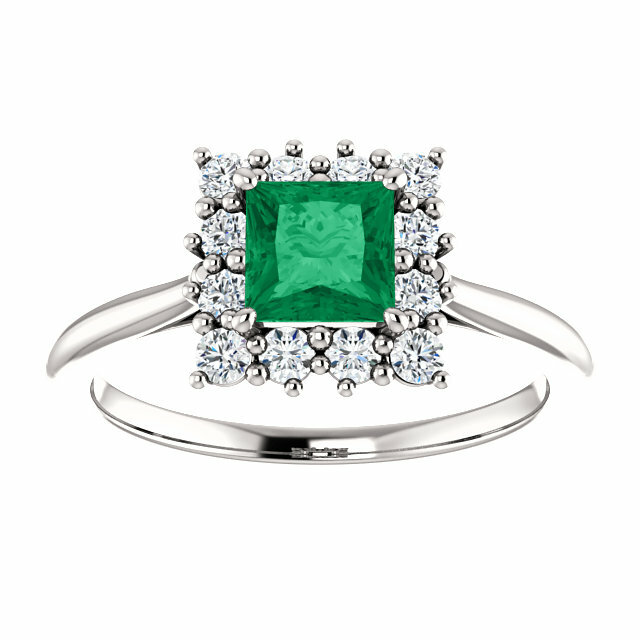 Make this precious green gemstone ring the most unique addition to your jewelry collection! 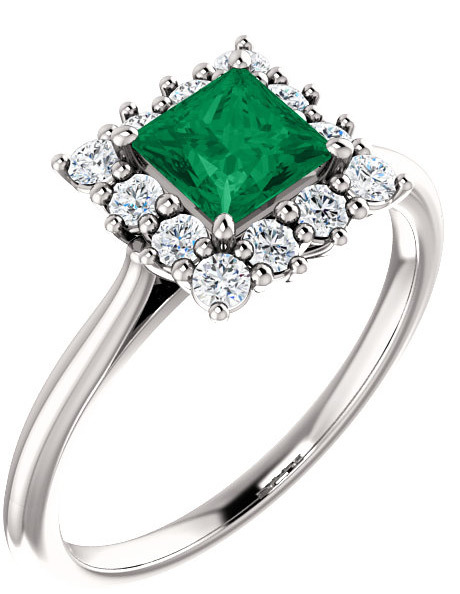 We guarantee our Rainforest Green Topaz Princess-Cut Ring in Sterling Silver to be high quality, authentic jewelry, as described above.